High traffic learning cards application performance was hindered due to backend MongoDB database response time. Application with thousands of users with high request rates was becoming unresponsive with few concurrent requests. Expert advice was needed to improve Database performance and to document the design and performance considerations for MongoDB set up on AWS. 2. Initial investigation of Hardware showed that the hardware set up on AWS did not leverage Availability Zones by AWS and all replica sets consisted of two members each. Based on the load metrics the hardware profiles on EC2 were changed to High Memory EC2 instances with EBS Optimization. For best performance, only one mongo process per host is advised. With appropriate sizing and resource allocation using virtualization or container technologies. For availability, multiple members of the same replica set should not be co-located on the same physical hardware or same data center or share any single point of failure such as a power supply. MongoDB supports write-ahead journaling of operations to facilitate crash recovery and node durability. Post data migration to AWS, enabling Journaling is recommended to ensure failsafe writes. Shard Keys for a sharded collection needs to be the one which would ensure maximum query distribution across the shards. 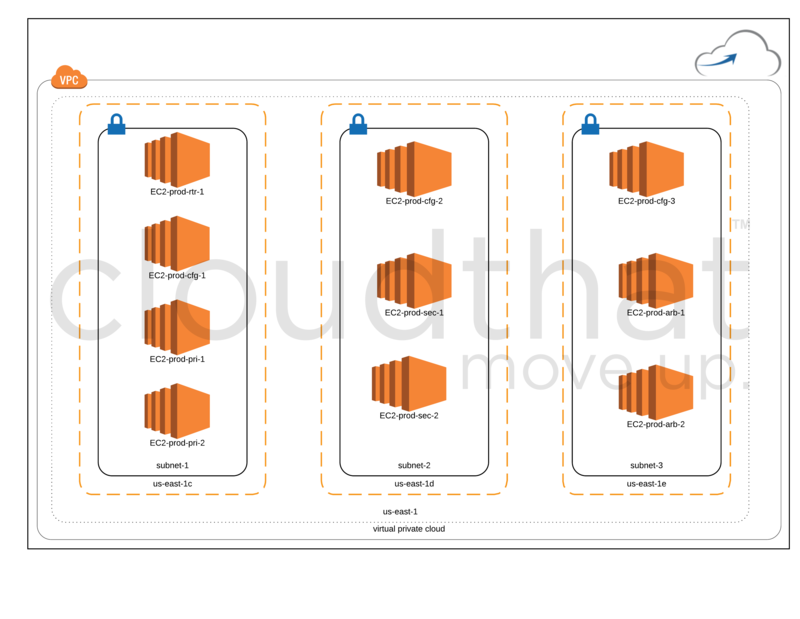 On AWS, backup scripts can be written and executed on secondary machines to ensure application performance during the backup process. On AWS, disk snapshots are the recommended way to take regular back up of the MongoDB databases and config servers. Regular disaster recovery scenarios to be envisioned and mock disaster recovery can be performed. Mongo Management Service by MongoDB can be used to receive database usage and performance overview and alerts time to time. The page load time on the application was reduced to less than 5 seconds from more than 60 seconds. Database was highly available due to functioning Automatic failover and as AWS availability zones were leveraged appropriately. Better hardware profile also helped in improving hardware cost on AWS.